Greetings from Beijing…wish you were here! Photo taken at moat surrounding the Forbidden City in Beijing, China November 2011. Just like the sky, the water in China was equally unsettling and gray. We never saw a clear day the entire time we were there. The pollution seemed to strangle the city out of life. At least there was no garbage in the rivers and streams like I saw in India and Nepal. I found this photo pretty regardless of the questionable water. 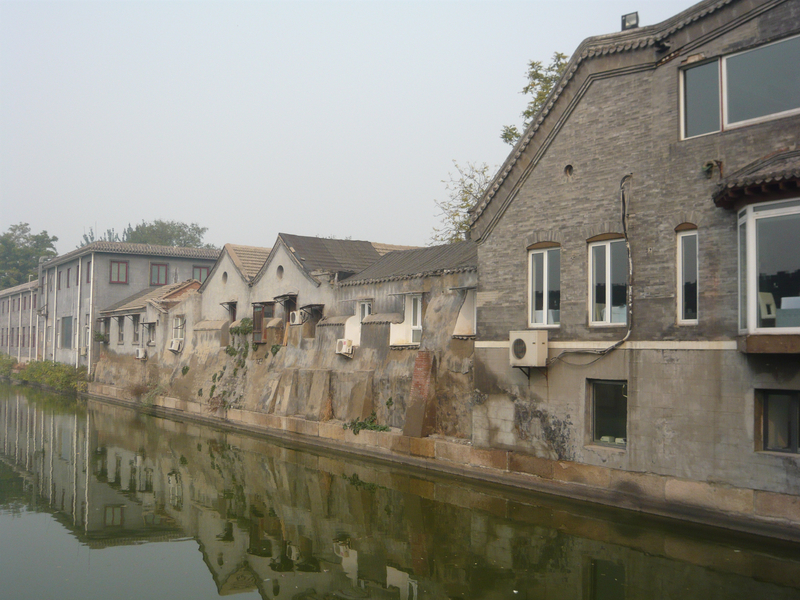 I like how the old homes of ancient China reflect into the murky water. I saw some local fisherman attempting to catch dinner of the nearby bridge. Not sure I’d be keen to eat anything out of this water. Hopefully someday China will clean up their environment. It is such a pity as it really is a beautiful country with tremendous architecture, culture and heritage. But the one thing I despised was the constant, continual pollution.